ANDREW PATTERSON successfully defended the Hitchin Town Centre title he won in 2017. He completed this year’s race in 16:54, holding off NHRR’s Mark Vaughan by seven seconds. MARIE COLUCCI was second Spartan to finish, and 3rd in her category, in 22:26. Also third in her own category was IRIS HORNSEY, completing the race in 31:53. In all 17 Spartans completed the race, with ANDY JAY, HAZEL SMITH, VISHY SHAH, CAROLE SHELDRICK, STEPHEN PIKE, ERICA GRAYSON, SARAH PIKE, ZOE JACKSON, JULIE SHADOLT, MONICA SMITHSON, SHERYL HANN, CALLIE CHAPMAN, KAREN BROOM and JOHN ADAMSON completing the contingent. This was Carole Sheldrick’s third time running this race and she said “It was good to see such a good turnout of Spartans running and the support from them all was amazing and very much appreciated. I had an off week running coming up to Sunday’s Race, so was very happy with my time of 25.40”. A full table of Spartan results can be found towards the end of this release. JOHN NELMS ran the marathon on the Hillingdon Cycle Circuit, which comprised 28 laps of the circuit. This was one of a series of events run in Berks/Bucks/West London area for established marathon runners. He completed the race in 3:45:03, a new personal best by 12 seconds. 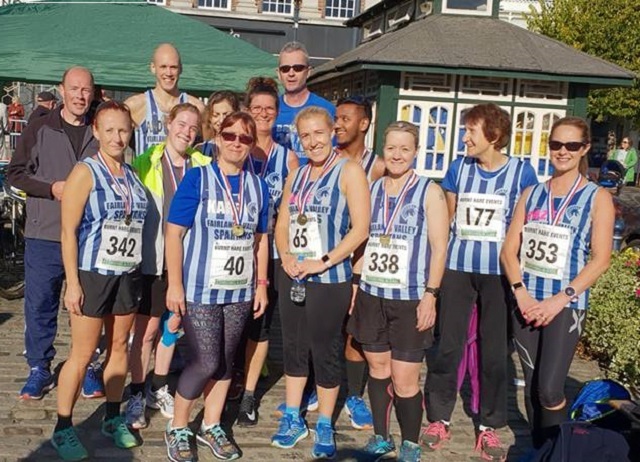 VICTORIA BRETT took part in the Windsor Half Marathon which boasts one of the iconic finishes running up a long straight towards the castle in Windsor Great Park. Sher described it as a well-run event, albeit a hilly one! No PB for Victoria today, as she completed in 2:11:57. RICHARD COWLISHAW completed the Robin Hood half marathon (Nottingham) in a new PB of 1hr 42 mins. He was understandably delighted with that performance after a summer off running and thanked the club for the support in getting trained up ready for the race. PAUL JENNINGS also ran, completing in 2:13:25, some 16 years after doing the marathon here. It wasn’t the time he was hoping for, but still a 25 minute PB for him! 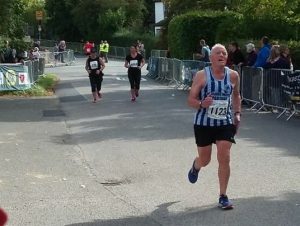 PETER CARPENTER ran in the Barns Green Half Marathon, completing the course in 2:35:58. At the Biggleswade Open Meeting, GRANT RAMSAY won the 1500m in a time of 4:41 to end the track season on a high. This was Grant’s 5th track win of the year having won the British Masters Steeplechase title earlier on the season. BEV HARLOW ran in The Great Race 10k in Pittsburgh, Pennsylvania, completing the course in 1:05:49. DUNCAN FLOUNDERS ran the Ageas Bowl 10k in Southampton. He finished 89th out of 939 in a time of 42:34. His first-half split would have been a 5k PB, but the second half of the route was hilly in nature making it a positive split race. 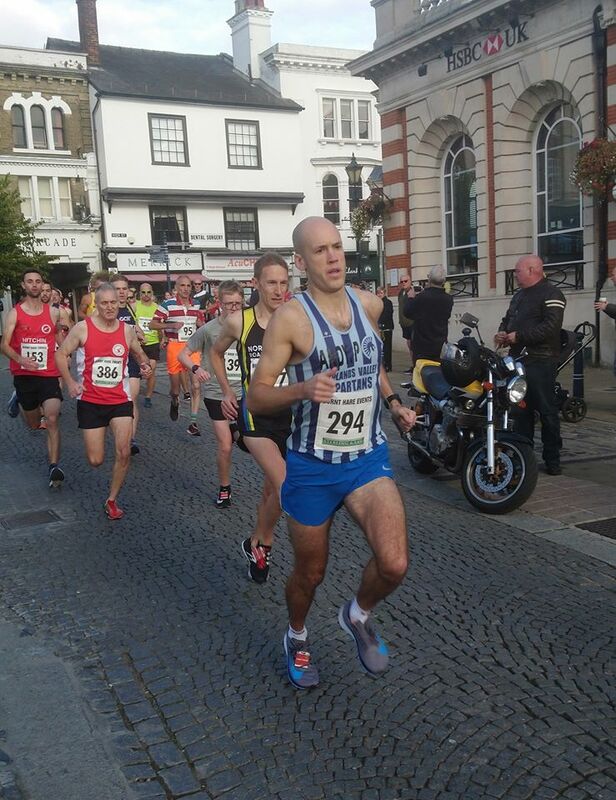 DAVID BOWKER was first in the VM60 category in the Saffron Walden 5, finishing in a time of 33:23. The cross country season is upon us, and YUKO GORDON competed in a small field of 174 runners for the England Masters Inter Area XC Challenge, which was advertised as a selection race for the England team, meaning tension was high. In the 6k race Yuko was nervous but confident of a good performance and delivered, winning gold in the W65 category in 26:29. She scored for the EMAC helping the women’s team to second but combined win for the overall men’s and women’s team. She was also second in the age-graded competition. Shelbe Moonbeam ran in the Beat Box Hill 10k, a hilly off-road event, completing the race in 1:09:34. Roger Biggs took part in the Marathon option organised by Monster Racing. The event started and finished outside the famous Ely Cathedral, heading South on mixed terrain for 13.1 miles, before returning along the same route back to Ely. Roger completed the 26.2 miles in 6:16:15. RICHARD HAZELDENE, TRICIA HOPPER and KAREN LIDDLE ran at Equinox24 held on 22/23 September. The event is a 24 hour endurance run starting at midday on Saturday and ending at midday on Sunday and participants run as many 10k laps as they can over the 24 hour time period. The course is off-road and very hilly in places and the weather over the two days ranged from torrential rain and high winds to brilliant sunshine. Tricia and Karen managed 10 laps, a total of 62 miles, in 23 hours 33 minutes. Richard managed an impressive 7 laps (43.4 miles) before being forced to retire early with an existing injury. There were PBs for 8 Spartans this weekend. 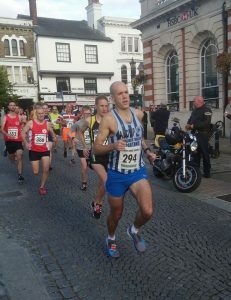 Stuart ARCHER achieved an impressive PB in Stevenage of 19:03 and was 11th finisher. Joining him at Stevenage, Steven DOBNER 24:31 PB, Michael O’KEEFE 25:07 PB, Sofia CARPENTER 25:12 PB, Paul HOLGATE 26:27 PB, a week after his marathon in Disneyland. Karen PALMER achieved a course PB in Ellenbrook Fields, 25:55, while Stuart STABLES achieved 20:47 PB in Falkirk and Jim BROWN achieved 24:06 PB in Capalaba. First positions were obtained by Dan MCALPINE, 16:58 at Stevenage and Rhiannon BOTHA who was 1st female 23:35 in Letchworth. Other top spots at Stevenage went to Steffan FORD 18:35 6th, Claire PULLEN 24:13 6th female, Kelly MCHALE 25:44 10th female, Alison SHELLEY 26:21 12th female, Danny SCANLON 19:21 13th. Rowena RUTLEDGE was 12th female at Heartlands in 28:37 and Penny SCHENKEL was 18th female in Capalaba in 30:46.